My friend is coming into town, and he messaged me to see about meeting up. So I start typing a response. Type type type. While I’m typing, I’m suddenly interrupted, I lose control of my screen, and I can’t finish what I was doing. What happened? I received a phone call. Or maybe I’m looking up which train I need to take home to leave me enough time before I have to be on my way somewhere else. And bam. 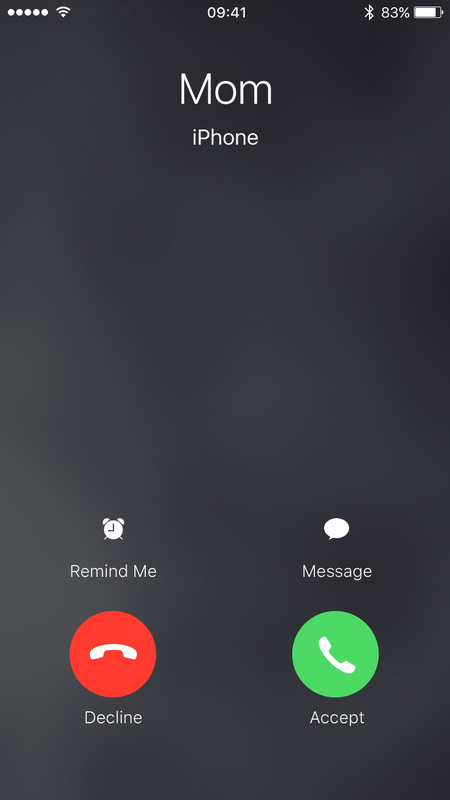 Incoming-call screen. Or maybe I’m editing a video and trying to precisely trim the end of it. And bam. 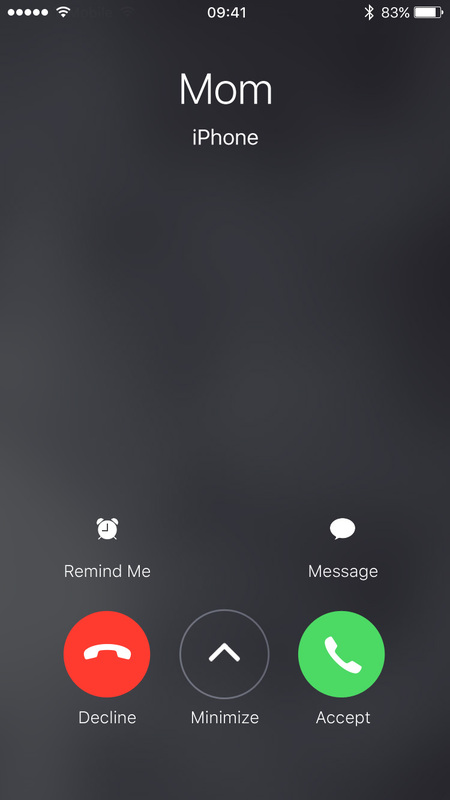 Incoming-call screen. 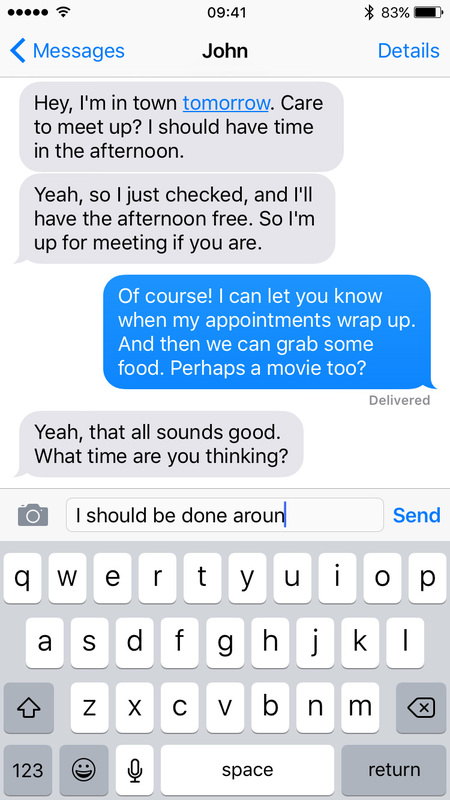 Whatever the task, the incoming call commandeers my screen and forces me out of the task I was performing. Because the device is a phone and making and receiving calls is a primary function, let’s assume the incoming-call screen is here to stay. So how can the screen be just a bit less intrusive? I have an idea. JA: Hey, I’m in town tomorrow. Care to meet up? I should have time in the afternoon. Yeah, so I just checked, and I’ll have the afternoon free. So I’m up for meeting if you are. JH: Of course! I can let you know when my appointments wrap up. And then we can grab some food. Perhaps a movie too? JA: Yeah, that all sounds good. What time are you thinking? On the incoming-call screen, I have a few options to deal with the call. 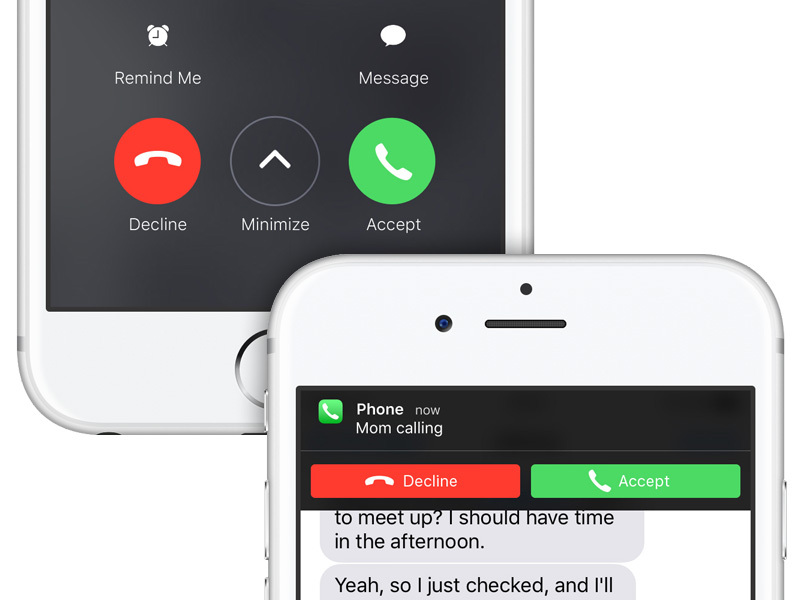 I can accept the call, I can decline the call and send the caller straight to my voicemail, I can send the caller a text message, and I can set a reminder (with the last two requiring further steps). With the hardware side buttons, I have another option: silence the ringer. Although my phone stops sounding or vibrating, the call continues and after a period of time automatically goes to my voicemail. When I receive a call I can’t (or in some cases don’t want to) take, I choose the latter. With the ringer-silencing option, the caller may think I’m unavailable. Or if the caller is an unrecognized number like from a marketing call, the caller may think the number isn’t actively used. If I decline the call, it sends the caller directly to voicemail letting them know I’m on the other end and deliberately ignoring them. Choosing the latter, though, means I have to stare at the incoming-call screen until the call automatically goes to voicemail when I just want to get back to the task I was performing. But what if I could dismiss or minimize the incoming-call screen without taking or declining the call? That’s what I propose. Like when I press the volume buttons on the side of my iPhone, the ringer would silence, and the call would continue until it automatically went to my voicemail. But unlike when I press the volume buttons, I could resume the interrupted task. Because phone calls—and the incoming-call screen—get an intrusive level of priority, the banner notification would as well. 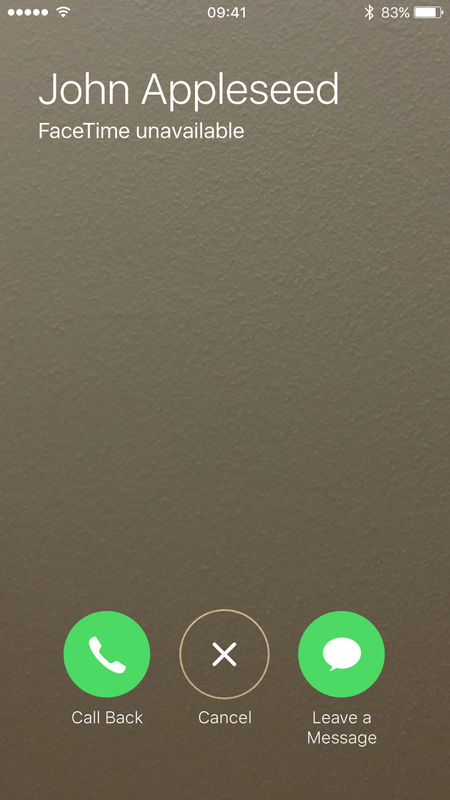 While the call continued until it automatically went to my voicemail, the banner would remain at the top of the screen. Once the call automatically went to voicemail, the banner notification would disappear like normal as I continued my task. But assuming the incoming-call screen is here to stay and an actionable banner notification isn’t in iOS’s future, this new workflow could be a way to dismiss the screen without telling the caller I’m ignoring them. Because I promise I’m not ignoring you, mom.